Why has Blackcurrant (Cassis Berries) been ranked as the “King of Berries” among all other berries? Blackcurrant berries contain tremendous amounts of vitamins and minerals, in addition to holding the strongest natural pigment effect and the highest level of antioxidants among similar fruits. In most countries in Europe, it has been consumed daily in the form of juice, jam or dried fruits for its deliciousness and has been used as a natural color agent in wine and food. Europeans also use it as a natural remedy against the flu as well to maintain good eye and heart health. In Europe, Blackcurrant has been used for medicinal purposes for over 600 years. It is well known that people in France experience lower instances of heart disease despite having a diet that is heavy in red wine. This is a subject of numerous medical studies. These studies reveal that Blackcurrant juice concentrate is used as a coloring stabilizing agent in wine to preserve and improve the wine’s appearance and fragrance. Why We Use Blackcurrant from New Zealand? New Zealand is a pristine Island and the best environment for Growing top quality Berries. New Zealand is the ideal place for plant growth because of its natural, clean water source that is uncontaminated by modern byproducts of industry such as acid rain and pollution. The Blackcurrant from New Zealand contains the largest amount and highest quality of Anthocyanins. New Zealand Blackcurrant is harvested only once a year and produces about 12,000 tons of Blackcurrant. New Zealand is at the forefront of Scientific and human research on Blackcurrant Health Benefits. New Zealand Blackcurrant contain a high level of polyphenols, Vitamins A, C, B1 and B3, calcium, potassium, copper and other minerals. Studies by the New Zealand government, Scientific Institute of Plant Food, New Zealand Blackcurrant Association and Just the Berries also discovered that NZ blackcurrant contains high levels of antioxidants in Anthocyanins and polyphenols that serve to protect the human bodies not only from harmful free radicals but also physiologically work on many organs, such as eye, brain, heart, skin and intestines. Vision Smart Center uses the most enriched cultivar of Blackcurrant Berries for its Supplements. 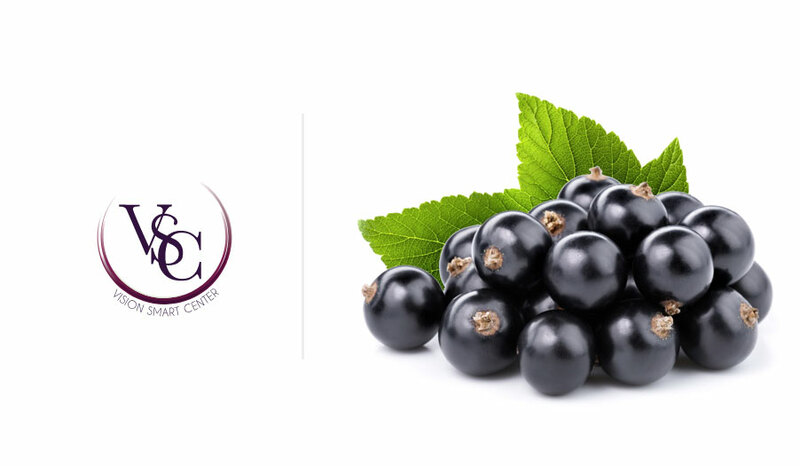 To ensure that our products are made from the highest qualities of Blackcurrant, Vision Smart Center sources its Blackcurrant from Just the Berries grown BenArd Blackcurrant. Every year, the professional and seasoned farmers of Just the Berries grow and harvest approximately 1,000 tons of BenArd Blackcurrant for world consumption that is free from pesticides. New Zealand Blackcurrant cultivars are subject to intensive study because of its uniquely high level of Anthocyanins compared to other varieties of Blackcurrants grown in Europe. Even when compared to other recognized varieties in New Zealand such as BenRua and Magnus berries, BenArd Blackcurrant comparatively contains a higher amount of Anthocyanins. Researchers have found that the Blackcurrant from New Zealand contains the highest ORAC values among other similar berries and fruits grown in the world . For the longest time, oranges and other citrus fruits have been commonly known as containing the highest levels of Vitamin C. In reality, Blackcurrant contains four (4x) times the Vitamin C of a typical orange. Other than Vitamin C, Blackcurrant contains rich antioxidants, Vitamin A, B, E, and Gamma-Linolenic Acid (GLA). Whether consumed as a fruit or as a supplement, Blackcurrant will support and promote a healthy heart, healthy blood pressure, healthy weight, healthy joints and healthy bones and many other functions at its most fundamental level. Many of the nutrients are used for nutraceutical and pharmaceutical purposes. One of the most commonly used nutrients in Blackcurrant are Anthocyanins, GLA, polyphenols, Cyclooxygease-1/COX-1 and Cyclooxygenase-2/COX-2, in various combinations, are often used for various inflammations. Blackcurrant is rich in polysaccharides like glucose, galactose and glycoconjugates which plays a role in depriving the nutrients needed for cancer growth, thereby delaying its growth. Among its many established benefits, studies on Blackcurrant and its nutrients also have positive effects in the fight against Alzheimer. For these reasons, Blackcurrant has been used in many homeopathic recipes in parts around the world. Blackcurrant has been used for over 500 years in various homeopathic recipes for a variety of ailments. As medical technology matured, doctors and scientists have taken a unique interest in studying the nutrients contained in Blackcurrant and found astounding health effects it offers through laboratory and clinical studies. Hirosaki University of Japan conducted a six month clinical study with 30 glaucoma patients and found that anthocyanins extracted from Cassis Berries improved blood flow activity and circulation in the ocular blood vessels and the optic nerve, thus improving vision activities. Since this study, Anthocyanin extracted from Cassis Berries became a widely accepted vision supplement in Japan. Another recent study in Korea’s St. Mary’s Eye Clinique and St. Mary’s Hospital studied the effects of anthocyanin on H2O2, a major cause of macular lesions, and found that Cassis Berry anthocyanin decreases the number of H2O2 thereby decreasing the potential harmful effects of H2O2 in your body.